Cast iron cookware is a healthier alternative to non-stick cookware. 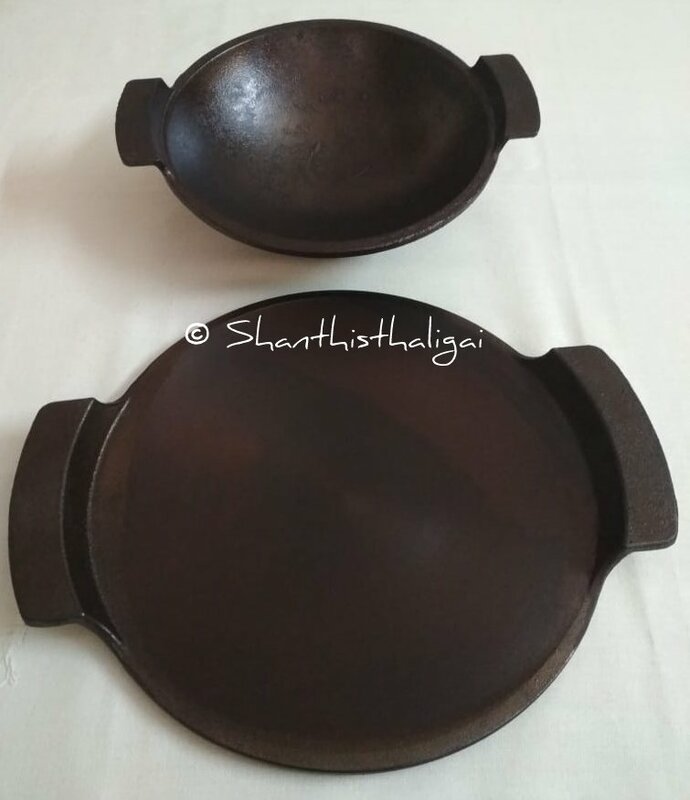 Seasoned iron and cast iron cookware are a must to have in any kitchen. Cast iron, more than just cookware are considered family heirlooms. They can be used on the stove, in the oven or on the grill. Properly seasoned cast iron is easy to clean and becomes non-stick. Iron deficiency has become common nowadays. The easiest option to prevent it in a natural way is to cook with cast iron cookware. Cooking in an iron utensil, adds significant amount of iron to your food and into your body. If you are looking to increase your dietary iron, cook in iron/cast-iron. 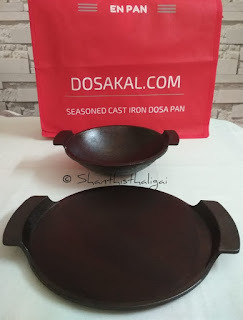 Recently, I got a cast iron kadai and dosa tawa from dosakal.com for product review. The products were pre-seasoned and there was no need to do any seasoning or scrubbing. Just wash it once before use. How easy is that! 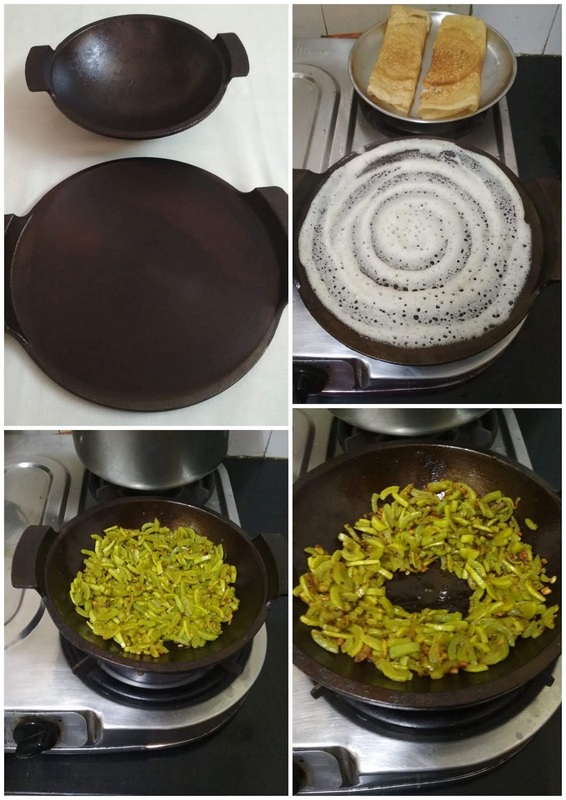 I experimented the pre-seasoned kadai with a snakegourd fry and tawa with dosa. ‘Snakegourdfry’ aka ‘pudanlangai vadhakkal’ turned out to be crunchy and crispy with less oil than usual. No sticking to the bottom. 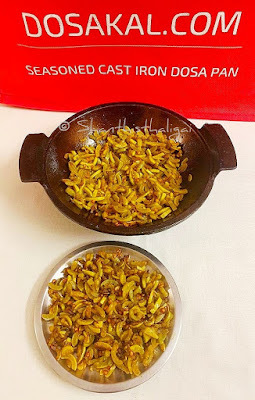 Click here for snakegourd fry recipe. In dosa pan, I put a few drops of oil on the pan and then used a kitchen tissue to smear it. Made four to five thick dosas and then I was able to make thin dosas too. The fry and dosas did not turn black and there was no iron smell even while making for the first time. I felt the handle of tawa/dosakal a little uncomfortable while running the spatula. Podis, fries, deep-frying etc. can be made in these kadais. As for vegetarian recipes, start with pan roasted vegetables. 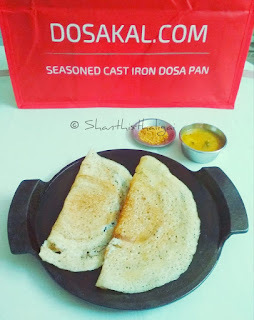 Aappam, dosa, adai, cutlets, tikkis can be made in the dosakal/tawa. Regular use and properly seasoned cast iron cookware makes it non-stick. Wash with a mild dishwash liquid and sponge, wipe it dry. I put it on the stove for a minute to dry it and then applied a thin layer of cooking/vegetable oil with a kitchen tissue. This might seem complicated, but it is actually very easy. The company claims that the dosa tawa even when dropped on floor doesn’t break. The products are pre-seasoned and little heavy. Check out dosakal.com’s cast iron cookware and transform your kitchen today. Why is the cookware black? The black coating is called 'seasoning'. Nothing harmful. Boosts iron intake as it is known to leach small amount of dietary iron into food, which is especially helpful for those who are anemic. Free of harmful chemicals and no toxic fumes while cooking. Better heat distribution and holds heat for a long time. Give a good wash with soapy water and sponge and start making whatever you want. Wash with a mild dishwash liquid and sponge, wipe it dry. Put it on the stove for a minute to dry it and then apply a thin layer of cooking/vegetable oil with a kitchen tissue. Just make sure you clean it thoroughly and dry after every use and dab a little oil before storing. This method of seasoning is to just prevent rusting and will also help prevent food from sticking to the kadai/tawa when you use it the next time. Do not use harsh abrasive cleaning methods. Wipe out excess food and oil with a paper towel and wash with dishwash liquid with warm water. Iron reacts with moisture and rust is formed. Water and other fluids should not be stored in iron vessels. Food cooked in iron vessels should immediately be transferred to another vessel after cooking. Sour/acidic food may react with iron. Never place a hot cast iron utensil in cold water because this causes cracking of cast iron. 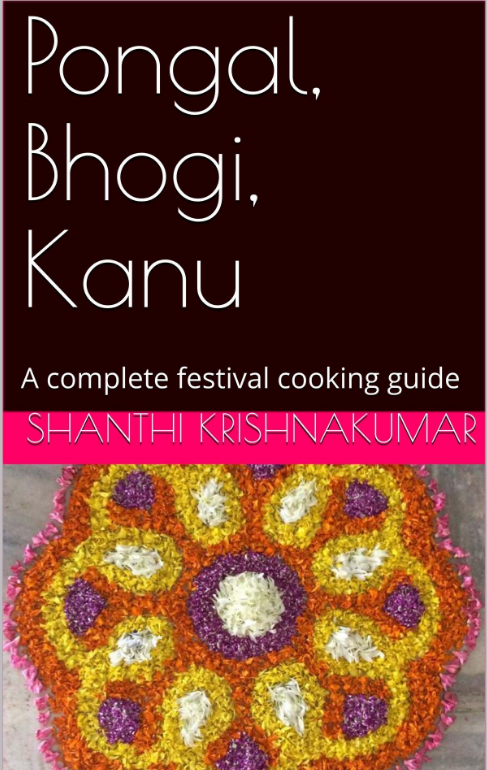 It is my pleasure and pride to announce the publication of my first e-Book - "Pongal, Bhogi, Kanu - A complete festival cooking guide." Born into a family steeped in tradition and culture, I began cooking at a fairly young age. I am particularly passionate about food that celebrates the spirit of a festival. A few years ago, my son suggested I do something more with my love for cooking. At his insistence, I started a blog and, over time, I began to write about the connection between traditional dishes and festivals. 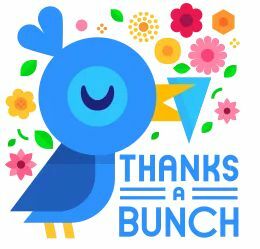 As my readers increased, I realised there were many out there who were interested in adopting these dishes, especially those who had become disconnected from their culture. This book is dedicated to them, and future generations who would want to stay in touch with their roots and culture, and understand the stories behind why these dishes exist. 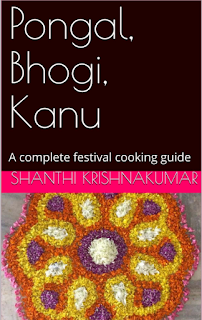 Here, I have focussed on the series of harvest festival of Pongal, including the significance of each ofBhogi, Pongal and Kanu, how these festivals are to be celebrated, menu for each of these festivals, and recipes associated with it. Happy Bhogi, Pongal and Kanu!